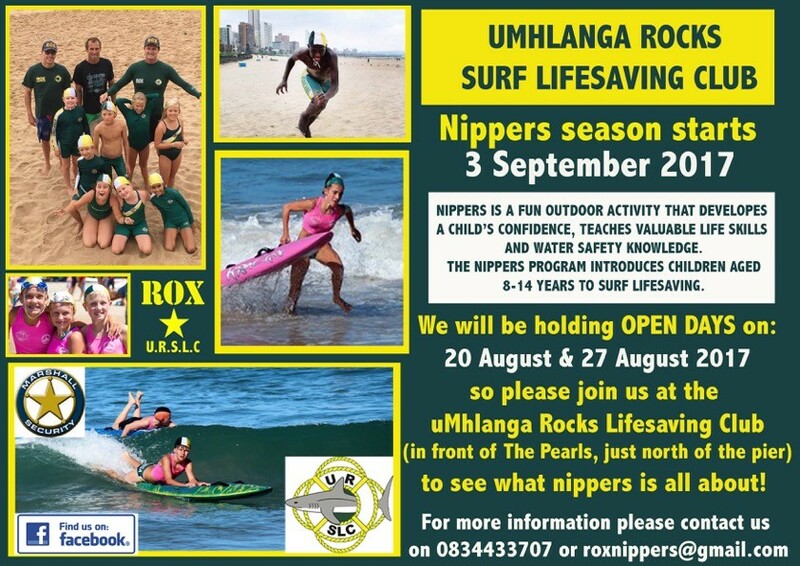 The uMhlanga Rocks Surf Lifesaving Nipper season is kicking off in September. Nippers will be holding two open days down at the club to give interested uMhlanga Community members an idea of what lifesaving and nippers entails. Don’t forget to diarise.